Includes Pumpkin Bisque, Herb-Stuffed Tomatoes, Chicken and Sweet Potato Stew, Shrimp Creole, Island-Inspired Fruit Crisp and hundreds more! The enjoyable and nearly effortless way to cook like a caveman! 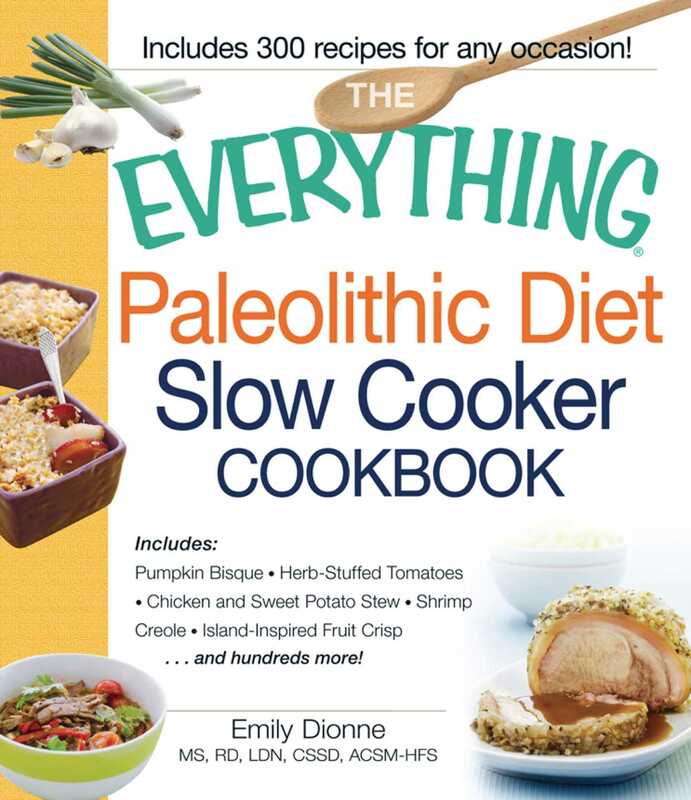 Based on the diet of our ancestors, the Paleolithic diet uses fresh and simple ingredients to promote weight loss, muscle gain, optimal health, and peak performance. Nutritionist and personal trainer Emily Dionne teaches you how to make satisfying, whole-food dishes for every meal--hearty breakfasts, healthy and filling lunches, sophisticated dinners, and even festive party fare.